Jazz is a perfect metaphor for this story’s form. 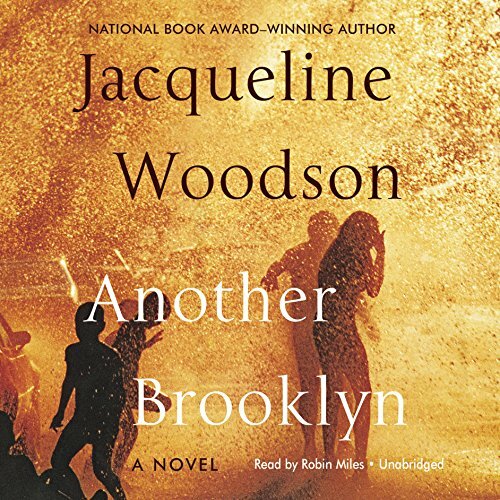 Each bit of narrative seems an improvisation that enriches the intricacy of Woodson’s structure. Miles’ rich voice leads listeners through soulful riffs that stress the syncopation of dialects, accents and intonations. August is an anthropologist who has returned home at her father’s death, taking time way from studying funeral traditions around the world. Snippets of her learning appear in haunting refrains that unite August’s free-floating remembrances. As she views her father’s lowered casket, August thinks of those in Bali who bury their dead in tree trunks and those who spread ashes on the Ganges. Facts like these surface periodically, their crisp surety contrasting with August’s velvety memories. Her father’s death has turned August into an anthropologist of her own life. Themes return. She has grown up missing her mother and the idyllic early life she remembers in SweetGrove, Tenn. Questions about when her mama will return and “what’s in that jar” appear repeatedly, phrased and rephrased. Miles expresses each differently, stressing August’s belief, longing, or insistence. Together author and narrator weave these refrains into prose-music, allowing room for listeners to interpret how memories change – and have changed – August. Most of August’s myriad memories revolve around her three best friends who shared “the weight of growing up Girl in Brooklyn, as though it was a bag of stones we passed among ourselves, saying, ‘Here. Help me carry this.’ ” She traces their individual paths and the way these converged to build strength that supported all of them from childhood to adolescence during the 1970s. Miles blends syncopated rhythms of beliefs and dreams, poverty and a wealth of talents, harsh realities and reassurance, love and betrayal. Miles unites all these as well as Woodson’s contrasting lyrical and spare moments into a harmonic whole.